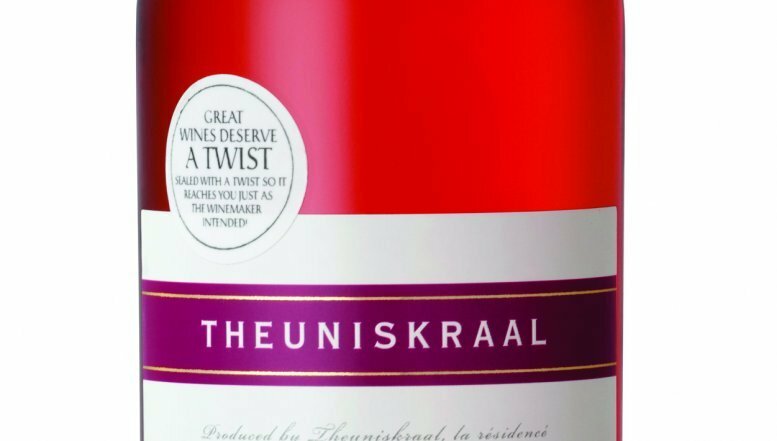 This brilliant rosy pink Theuniskraal Moscato Rosé 2012 has aromas of candy floss and strawberries with a floral background. The Muscat Ottonel and Muscat de Frontignan grapes were harvested by hand and machine, mostly from pre-dawn to early morning. The three varietals were vinified separately. The Muscat Ottonel and Muscat de Frontignan grapes received skin contact for four hours and were cold-fermented until dry for a period of 14 to 21 days. The skins of the Shiraz grapes were removed after 24-hours and fermentation was stopped when a residual sugar level was attained. None of the varietals were wooded and remained in stainless steel tanks until blending. The wine is fresh and crisp on the palate with a complexity of fruit flavours and a lingering aftertaste. The Moscato Rosé is excellent on its own or can be served with salads, fish, poultry, pork and pasta dishes. Theuniskraal Moscato Rose is widely available from leading liquor outlets at around R45 a bottle.